Ben Carson has been a renowned name both in the United States of America and across the globe. Many came to know him after his presidential bid ahead of the much-talked-about 2016 U.S elections. This is not so for his wife, Candy Carson. Candy has been both a wife and collaborator to Ben Carson, always working with him in most of his ventures. Just like her husband, she is also an author, and have co-written several books with him. Moreso, Candy is a businesswoman and humanitarian. Let’s take a more detailed look at the life of Ben Carson’s wife. Candy Carson was born as Lacena Rustin on August 19, 1953. She was born in Detroit, Michigan, in the United States. Candy studied at the Yale University, Connecticut, and earned a Bachelor’s Degree in Music, Psychology and Pre-medical studies. She subsequently earned an MBA in Business Administration from the Johns Hopkins Carey Business School in Baltimore, Maryland. After her education, Candy Carson started a career in real estate, insurance, and trust administration. In addition to her career, she works with her husband in managing their humanitarian organization, the Carson Scholars Fund which they founded in 1994. The couple established the foundation in the bid to encourage students to take their studies seriously after America landed in second to the last position in a Mathematics and Science rating of 22 countries. Carson Scholars Foundation focuses on students in the 4th-11th grades, and rewards successful ones with medals, trophies, and as much as a $1,000 college scholarship fund. The Carsons’ aim is to make education as important as sports since the country treats talented athletes as heroes whereas excellent students are often honored with trivial things like pins, plaques, and certificates. Since its inception, the foundation has rewarded close to 7,000 students. Candy Carson also serves on the board of other humanitarian organizations including the American Students Fund. Candy is a music lover. She was a concert and orchestra violinist during her youthful days and is still making use of her music skills as she is currently serving as the conductor for the University of Maryland Medical Center Chamber Players. Additionally, she is a member of the Baltimore Symphony Orchestra and the John Hopkins Shriver Hall Concert Series. Also an active member of her church (Seventh Day Adventist) choir, Candy founded and directed a number of youth ensembles, including “The Carson 4” which comprised herself and her three sons. In 2016, she authored her memoir, A Doctor in the House: My Life with Ben Carson. She has also co-authored four books with her husband, namely: America the Beautiful: Rediscovering What Made This Nation Great (2013), One Nation: What We Can All Do to Save America’s Future (2014), One Vote: Make Your Voice Heard (2014), and A More Perfect Union: What We the People Can Do to Reclaim Our Constitutional Liberties (2015). 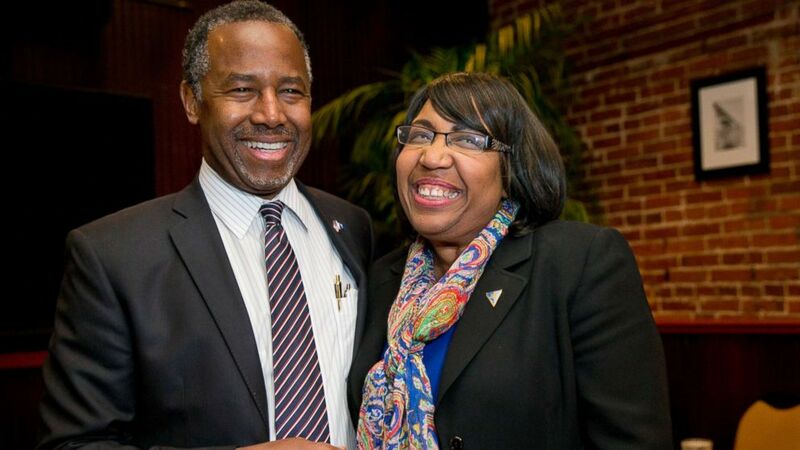 Candy Carson married Ben Carson in 1975. She had earlier met Carson in Connecticut where both of them were undergraduates of Yale University. The couple has three sons – Murray, Benjamin Jr., and Rhoeyce Carson. They also have several grandchildren. Candy currently lives with her family in Florida, United States. 1. 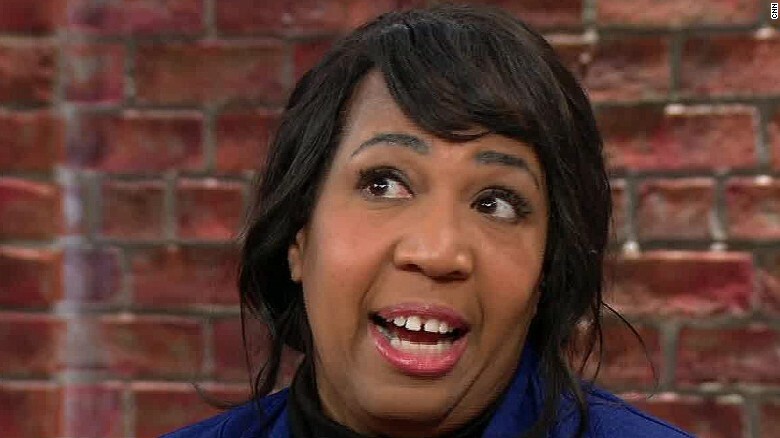 Candy Carson is a vegetarian, a lifestyle that is inspired by her devout Adventist religious beliefs. 2. She miscarried a five-month twin pregnancy in 1981 and carried the next pregnancy on bed rest from the fifth month. 3. Candy’s character has been portrayed on television trice. American actress Aunjanue Ellis first portrayed her in the 2009 TNT TV film, Gifted Hands: The Ben Carson Story. Leslie Jones later played Candy in an episode of Saturday Night Live on 10th March 2018. She appeared as herself in Gifted Hands (1991). 4. Ben Carson’s wife was entangled in a controversy after it was alleged that she coerced her husband’s staff into acquiring pieces of furniture worth up to $31,000 for refurbishing his office. She, however, denied the allegations. 5. Ben Carson has made it clear that Candy Carson is significantly instrumental to his successful life and career. Among other things, she helped him put his anger under control. 6. Candy opposed her husband’s political ambitions until she became a grandmother.